Created by the Campus Election Engagement Project, a nonpartisan effort to help college and university administrators, faculty, and student leaders engage their schools in the election. Key sites consulted included Votesmart.org, OntheIssues.org, FactCheck.org, Politifact.com, and public candidate statements. For guides to local races, see Vote411.org from the League of Women Voters and Ballotready.org. For more detailed information visit their votesmart.org pages. Visit fredhubbell.com and reynoldsgregg.com to volunteer. Other candidates include Jake Porter (L). Due to limited space, we can only include responses if candidates poll over 15%, but encourage you to check out his website. To download a printable pdf version of this guide, click here. Hubbell – Legal. Will work to reverse IA’s abortion ban, one of the strictest in the country. Reynolds – Ban. Signed “Heartbeat Bill,” banning abortion if fetal heartbeat detected. In 2010 said abortion should legally “be equivalent to murder,” though would need to research potential penalties for doctors or women. Climate Change: Consider climate change a critical threat? Regulate greenhouse gases? Hubbell – Yes. “Avoiding the pending disaster of climate change is the responsibility of each and every one of us.” Hubbell and his wife are on board of Environmental Policy and Law Center, which supports Obama’s Clean Power Plan to regulate utility emissions. Reynolds – No public statements on climate change found. Despite requests from legislators, has not joined US Climate Alliance, a coalition of states committed to fight climate change. Court: Do you support President Trump’s choice of Brett Kavanaugh for Supreme Court? Economy: Support Trump’s imposition of tariffs on Chinese steel and other products? Hubbell – No. Believes they pose a devastating threat to IA’s producers & overall IA economy. Reynolds – No. 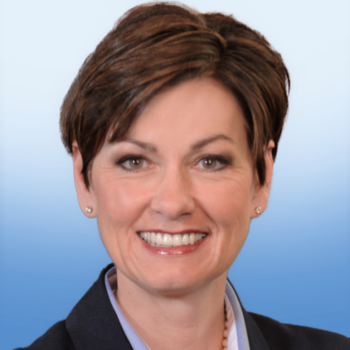 Believes will have negative impact on IA farmers, manufacturers, and overall IA economy. Education: Increase funding for K-12 education? Publicly funded vouchers to help parents send children to private schools? Hubbell – Yes. Need full and consistent funding to at least keep up with inflation. Proposed 1% increase is not enough. Position on vouchers unknown. Reynolds – Small increase. Signed 1% increase passed by legislature. Reynolds had advocated for 1.5% increase. Allow vouchers for private schools, as way to facilitate parental choice. Hubbell – Yes. “We’ve just been cutting, cutting, cutting.” Proposes tuition payback for students at Iowa colleges who commit to 5 years working in rural Iowa. Reynolds – No. Supported major cuts to address budget shortfall. Reynolds – Previously opposed. Now accepts as settled law. Hubbell – Yes, but not much specificity. Wants public conversation about how gun laws can balance gun rights and public safety. Opposes arming teachers. Reynolds – No. Supports 2017 sweeping gun rights law as “responsible and reasonable,” including “stand your ground” provisions and prohibitions on local restrictions. Decisions on arming teachers should be local. Healthcare: Support or Repeal ACA, aka Obamacare? Support Medicaid expansion to low-income Iowans? Support IA’s privatization of Medicaid? Hubbell – Supports ACA and Medicaid expansion. Reverse IA’s Medicaid privatization, with its reduced benefits and widespread denials of coverage. Reynolds – Repeal ACA, which is “unaffordable, unworkable, and unsustainable.” Rejects Medicaid expansion and supports privatization. Significantly cut Iowa’s Medicaid program. Healthcare: Let Planned Parenthood receive public funds for non-abortion health services? Hubbell – Yes. Also former chair of Planned Parenthood of Mid-Iowa. Reynolds – No. Support defunding Planned Parenthood. Labor: Support collective bargaining for workers’ rights? Hubbell – Yes. Strongly opposes 2017 legislation which made major reductions in four-decade-old collective bargaining rights for IA public workers. Restore and expand these rights. Reynolds – Generally no. Applauded 2017 legislation as “long overdue.” Praised Republican efforts to limit collective bargaining laws. Immigration: Support DREAM Act (DACA), allowing “Dreamers” who arrived illegally as children, to achieve legal status if meet certain conditions? Support path to citizenship for America’s 11 million illegal immigrants? Hubbell – Unclear, although called law withholding funding for cities that didn’t cooperate with Federal immigration enforcement “an attempt to divide people” and a distraction from more important policy issues. Reynolds – Supported Trump’s decision to phase out DACA, calling it Congress’s responsibility to pass immigration law. Said reform could end up including pathway to citizenship for some Dreamers. 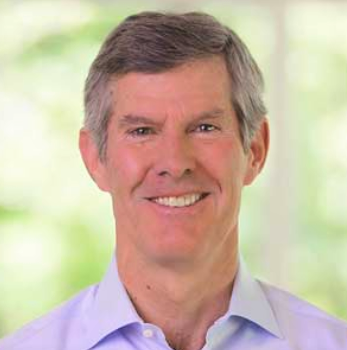 Hubbell – No for recreational until more results from other states. Yes to expanding medical use. Reynolds – No for recreational. Authorized limited medical marijuana bill but opposes expansion. Hubbell – Yes. Raise at state level, while allowing cities and communities to go higher as needed. Reynolds – No. Supported bill keeping state minimum wage at $7.25 an hour and preventing counties and communities from raising it. Net Neutrality: Support requiring internet providers to provide equal access to all users? Hubbell – Unknown on net neutrality. Advocates for expanded affordable rural internet access. Renewable Energy: Support government investment in renewable energy? Hubbell – Yes. Strong advocate for expanding investments in renewable energy. Has led efforts to invest state funds in this sector. Reynolds – Mixed. Wants to continue growing IA’s wind, biofuels, and solar industries, and has supported easing regulations to facilitate their growth. But signed bill cutting funding for energy efficiency subsidies, home retrofits and energy efficient appliances. Taxes: Support IA’s recent $2 billion tax cuts? Hubbell – No. Opposes major cuts to revenue streams. Considers fiscally irresponsible, and similarly opposed Trump tax cuts as regressive. Also opposes corporate subsidies like giving Apple $20 million credit to create 50 jobs. Reynolds – Yes. Believes they provide important relief to middle and working class individuals and small businesses. Voting Rights: Support rules like voter ID requirements and reduction of early voting days even if they result in fewer people voting?